Taxi aggregator Ola, operated by ANI Technologies Pvt. Ltd, has made a fresh infusion of Rs 50 crore ($7.68 million) into cab-leasing arm Ola Fleet Technologies Pvt. Ltd, filings with the Registrar of Companies show. Ola subscribed to 50 million shares of Ola Fleet at Rs 10 apiece on 5 February, the filings show. ANI Technologies last invested in its cab-leasing arm in October 2017, when it put in Rs 50 crore. Before that, in July 2017, it infused Rs 100 crore and in February 2017, Rs 50 crore into Ola Fleet. In September last year, VCCircle had reported that Ola Fleet had availed a term loan of Rs 1,000 crore ($156.3 million) from private-sector lender Yes Bank to finance the purchase of commercial vehicles. Email queries sent to Ola seeking more information on the transaction did not elicit a response till the time of filing this report. The development comes at a time when the cab-leasing programmes of both Ola and rival Uber have largely received a lukewarm response. Cab drivers attached to these programmes do not enjoy the same incentives as drivers who own vehicles. As a result, the drivers earn lower income. 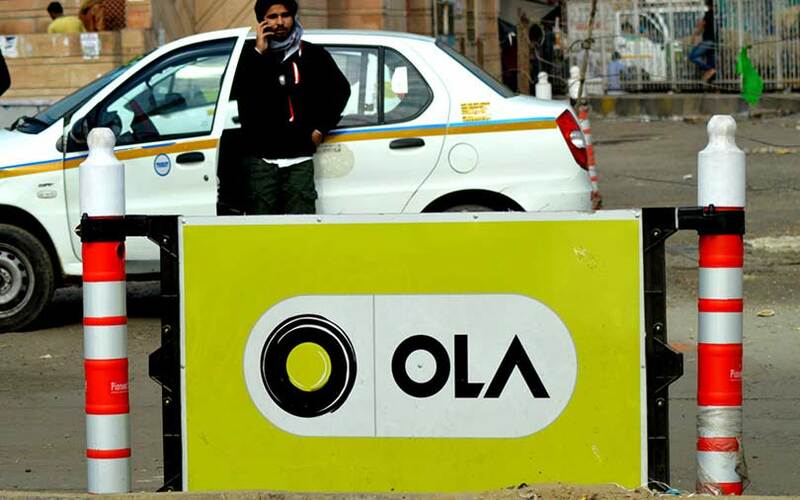 A back-of-the-envelope calculation by TechCircle indicated that the current valuation of Ola Fleet could be roughly between $45 million and $48 million. In March last year, Reuters had reported that Uber’s Indian subsidiary was also reviewing Xchange Leasing India Pvt. Ltd, its cab-leasing programme in the country, after drivers returned their leased cars in large numbers. They had quit over falling incomes and incentives. In the US, Uber sold the cab-leasing programme to Fair, a California-based car leasing startup. In May last year, The Economic Times reported that State Bank of India had suspended car loans for Uber and Ola taxis, following loan defaults of about Rs 120 crore due to non-payment of dues by drivers. The bank had also seized 300 cars owned by both companies. Both Ola and Uber had started off with an asset-light model, but had subsequently launched their respective cab-leasing programmes to gain more control over their driver partners and to restrain them from migrating to rival companies. However, it appears that both cab-hailing firms did not anticipate the impact of reduced incentives and earnings. Earlier this month, VCCircle had reported that Ola was shutting bus unit Ola Shuttle after scaling it down in several cities in recent times. The company said it closed the vertical in order to rebalance its portfolio of offerings. On the other hand, Ola is expanding its main business. After securing $1.1 billion in October 2017 from China’s Tencent Holdings Ltd, Japan’s SoftBank Group and others, it launched its services in Australia where Uber is the dominant player. The cab-hailing major is also looking to enter New Zealand, according to media reports. The homegrown company is already testing waters in neighbouring Sri Lanka and Bangladesh. Earlier this month, Business Standard reported that Ola was accused of commercial espionage by a local Sri Lankan cab-hailing firm PickMe, which runs the largest cab service in the island nation. In December last year, Ola agreed to acquire the Indian business of food delivery platform Foodpanda from its Germany-based parent Delivery Hero in an all-stock deal. Besides, it committed to inject $200 million into Foodpanda India to expand the business.